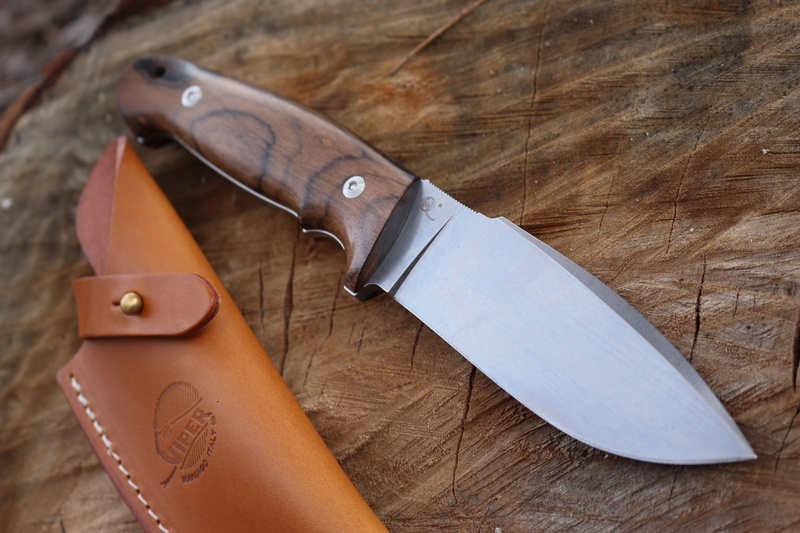 Another superb Outdoor knife from Viper Knives of Italy. Its design lends itself to Bushcraft, General outdoor and hunting, its a superbly comfortable knife to use, with excellent balance and poise. The D2 stonewashed steel blade is flat ground and at 60HRC gives excellent edge holding and a very fine cutting edge as well as being tough and stain resistance. The Ziricote (A very Hard, Dark Hardwood) handle is very well sculpted and gives excellent grip and the full broad tang construction makes a very stong knife. 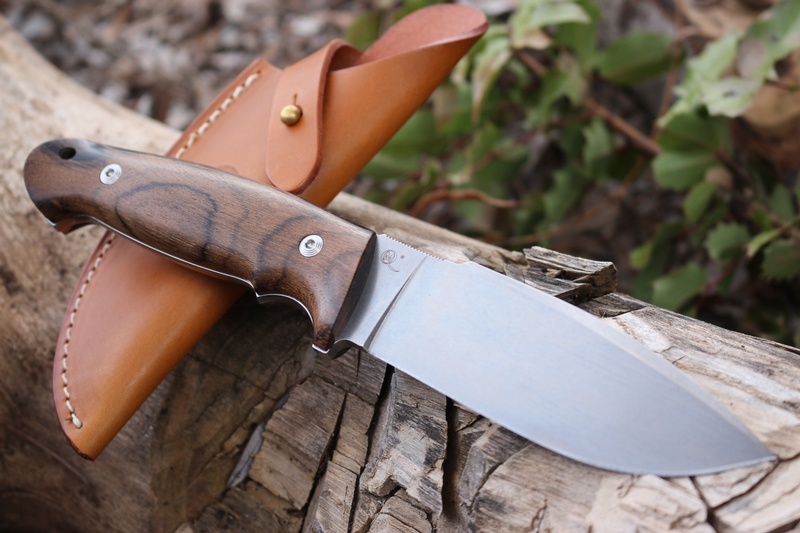 All around an excellent, top grade Outdoor Knife. 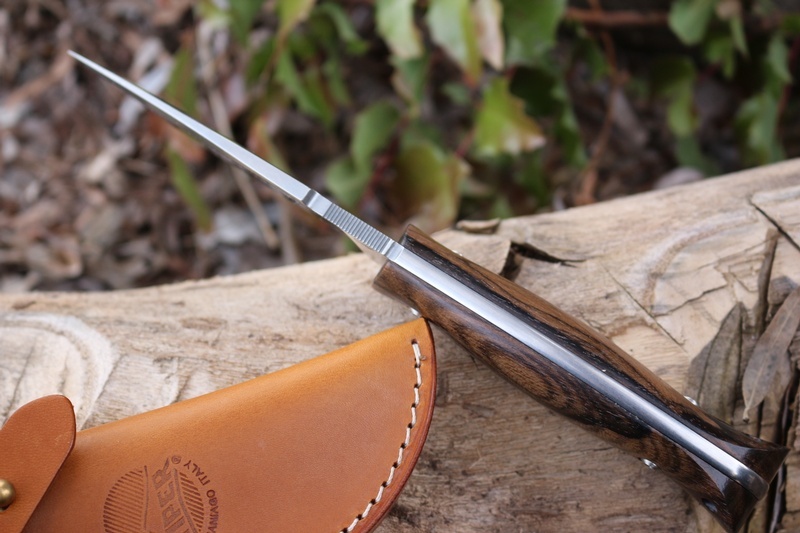 Made in Italy, comes with quality leather sheath. Blade: AISI D2 tool steel, vacuum heat treatment, dual phase tempering and cryogenic heat treatment; thickness 4,8 mm (tapering); HRC 58/60. 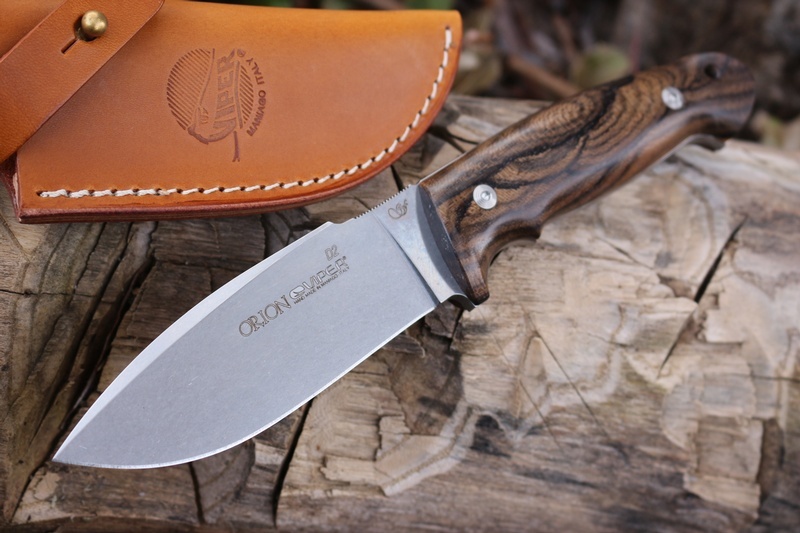 Purchase through PayPal by using the "Add To Cart" button above or use the form below to order the Viper Knives Orion Ziricote Handle . 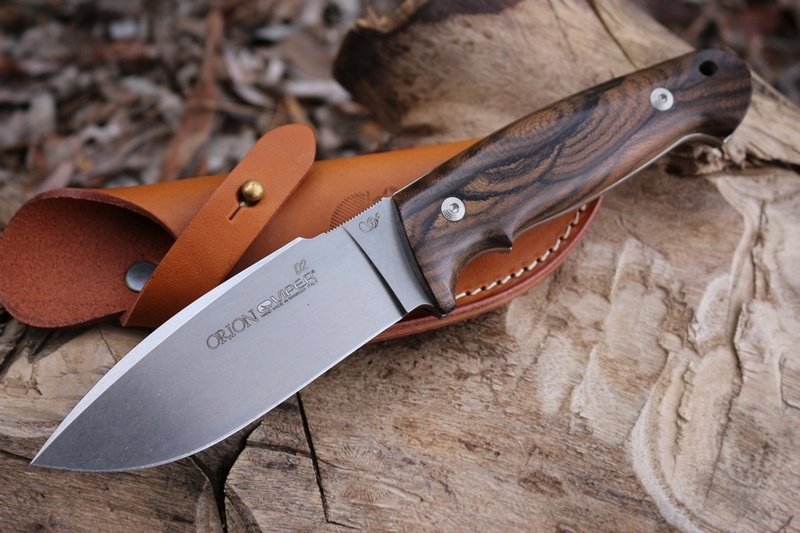 Feel free to contact us if you have any questions about the Viper Knives Orion Ziricote Handle .